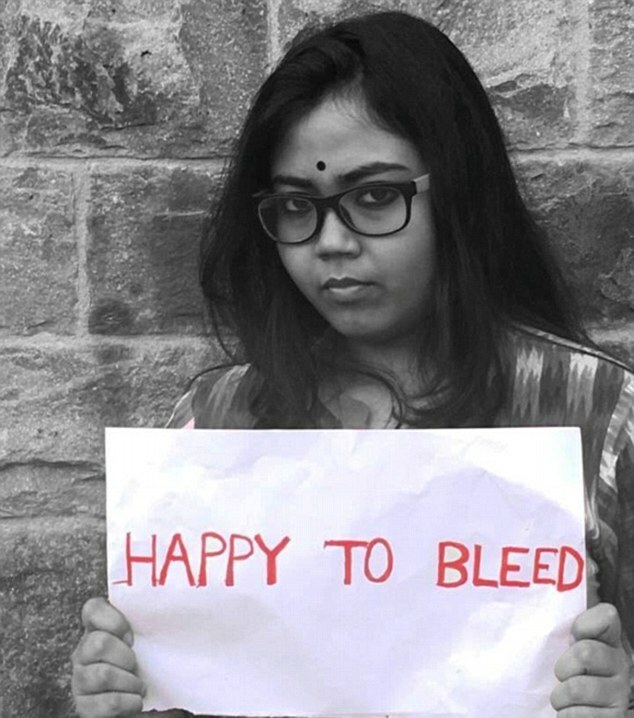 A Hindu temple has sparked an angry nationwide social media campaign after announcing women would be allowed in - but only when a scanning machine was invented to check whether or not they were menstruating. 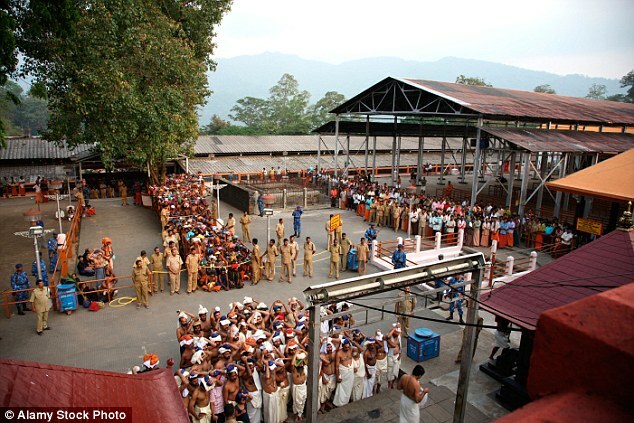 Sabarimala, in Kerala, India, currently does not let any women of a certain age group through its doors, because of the risk they might be menstruating - making them 'impure'. Its new leader Prayar Gopalakrishnan said there may come a day when all women would be allowed through the door. However, that will only when they could be checked to ensure it was not their time of the month. 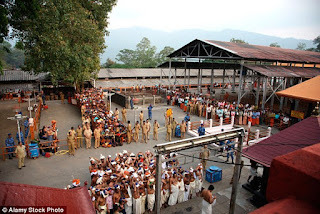 'These days there are machines that can scan bodies and check for weapons,' Gopalakrishnan told assembled reporters, according to News Minute. 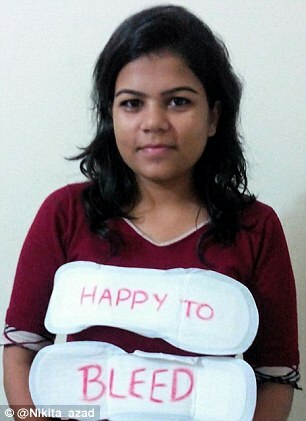 Unsurprisingly, the comment has sparked outrage in India, and across the wider world. Gopalakrishnan's words made Nikita Azad, 20, so angry she penned an open letter - and started the #HappytoBleed campaign. 'I recently came to know that my blood pollutes the temple Sabrimala, and I am denied entry into it because I am a woman who menstruates,' she wrote on Youth Ki Awaaz. 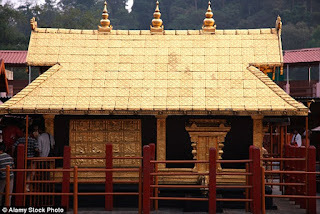 'I have heard my mother say that women don’t enter temples during ‘that time’, but I usually avoided this belief as something stupid until now. It didn't take long for the anger to spread, and more than 1,000 people quickly signalled their support for a week of events highlighting Gopalakrishnan's sexist comments, led by Azad. 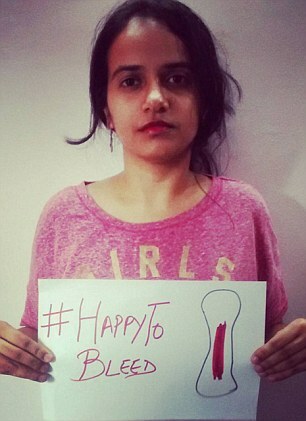 The campaign asked them to upload pictures of themselves wearing signs declaring ' Happy To Bleed' - some written on sanitary pads.